Our Fundamentals is designed for our newest members. 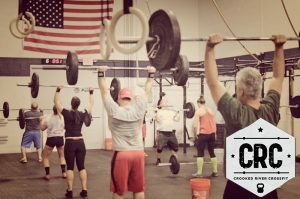 It’s an informational and instructional program for anyone trying CrossFit for the first time. We slow down our usual pace to guide you through the basic movements and core stability exercises, get you familiarized with proper mechanics and technique, and get your body primed to join our group classes. Fundamentals is designed to ensure your success; we cover everything from our programming philosophy, proper exercise modifications and scaling, and regulating individual intensity. It’s the best way to start your CrossFit journey and to get ramped up and prepped for our regular group classes. 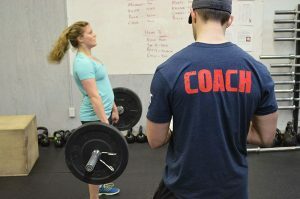 Because the Fundamentals program one on one with one of our professional CrossFit coaches, they have plenty of opportunity to help you work on technique and get to know your unique goals and needs. Fundamentals consists of 5-20 one on one sessions depending on your goals. Do you have a friend who would be interested in working out with you? We can do a 1 on 2 sessions as well! The backbone of the program is traditional CrossFit workouts, focusing on strength, conditioning, and mobility. These workouts combine gymnastics, weightlifting, and metabolic conditioning in varying degrees and duration to create unparalleled results. From the basic (but all-important) air squat all the way to the very technical muscle up and Olympic lifts, we utilize them all and make it workable for anyone at any level of fitness. We build strength, endurance, agility, technical ability, and general awareness of body and mind by training movements that support functional ability and translate to real life. And of course, there are the aesthetic benefits, too.